I have found over the years that there is a love/hate relationship with Edmark for some people. Edmark is a direct instruction approach to sight word acquisition. I get it, it's not using authentic literature to teach sight words... it needs the commitment of one staff member teaching one student, so it can be time consuming.... and I'm sure others have heard many other reasons (or may even be passionate about why you don't like it!) as to why it should not be used in the classroom. I'm a reading specialist and Edmark was NOT even mentioned in my program. But, I just can't deny success! I have seen amazing results with students who are still struggling with mastering 5 out of 26 uppercase letters, yet they are consistently reading the words learned through Edmark lessons during weekly probes. I am a huge proponent of Edmark, specifically in younger elementary special education classrooms. I have tried to approach letter/number identification in the same visual layout as Edmark, with some success, but I kind of have to do my own version. For years, I had used the old (copyrighted 1987, possibly?) outdated Edmark. About two years ago, I was able to get a new version of the kit. It is amazing. No more of the nondescript, yellow labrador dog....there is an Airdale Terrier, a Great Dane, a Bulldog! Little kiddos in my class would struggle with generalizing dog into that one yellow dog, now the kit provides 8-10 different images of a dog! A few of the different images that are seen in the kit include: cars, horses, balls, boats, and much more. I have been able to use Edmark with kiddos with typical language development, kiddos with articulation issues, kiddos who sign and even AAC (augmentative and alternative communication) users! I use the comprehension sheets that go along with the updated version as well. They are proving to be perfect for ESY (Extended School Year) support this summer. 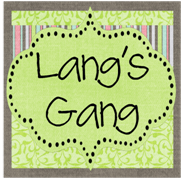 It provides students with the possibility to complete worksheets successfully that included WORDS.THEY.KNOW. Perfection! I found that I needed additional activities to supplement their sight word acquisition. 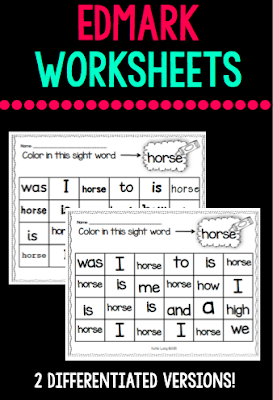 I created worksheets that students can find and color the sight word, perfect for kiddos with fine motor needs! 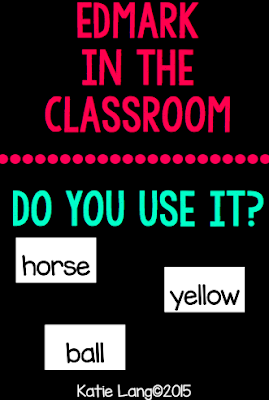 I'm hoping to create more activities that include the words that my kiddos are mastering through Edmark. Keep an eye out! I am a special education teacher in Bucks County Pennsylvania. I love my job and the kids that I get to work with.